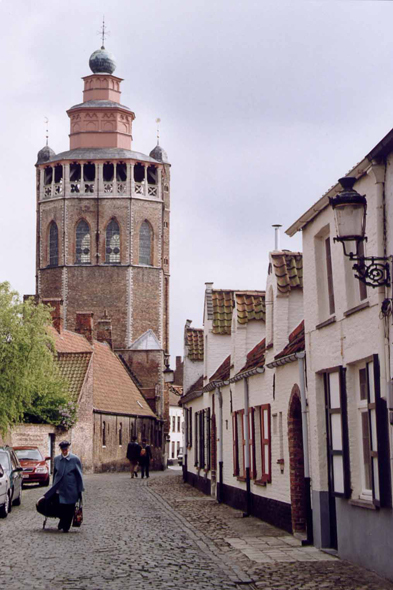 The curious tower with lantern of the Jerusalem church of Brugge. This church was built at the 15th century by the Adornes family, tradesmen originate from Genoa. Combining Gothic and Eastern elements, it is most probably inspired by the church of the St. Sepulchre of Jerusalem.